Since the 60’s, Medical costs have risen dramatically in the U.S. The greatest increase comes from hospital care. Most hospitals have been granted large wage increase and installed expensive modern equipments. To meet these large expenditures, hospitals raised charges to their services by about 600 percent. There are three main methods of financing hospital care in the country: (1) private insurance, (2) government funding, and (3) customer payments. Private Insurance. Approximately 80% of Americans have health insurance of some kind. The employee, employer, and the government pays a certain amount for medical benefits. 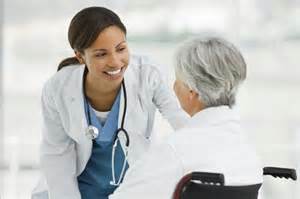 Private health insurance are offered either by insurance companies, medical service plans, employers, or organizations. Medical service plans provide service benefits. This service is a direct payment to the physician or hospital for medical care. On the other hand, Health Maintenance Organizations (HMO’s) provide nearly complete health care services for a monthly or annual fee. Despite the complete services provided, patient’s options are limited or are bonded by the HMO’s restrictions. There are also employers who pay for the health care cost for their employees rather than buying insurance. Government Funding. About 40 percent of all health care cost is paid by the government. Of course, the Federal government pays for the larger portion. Hospitals that receive such funding are those managed by the Public Health Service and the Department of Veterans Affairs. Medicare is the biggest government funded health care program in the U.S. IT helps senior citizens pay for out patient, nursing and hospital care. Customer Payments. Most insurance do no pay for cost of medicine, medical appliances, dental , and eyeglasses. Some only cover a portion of the outpatient care. Patients will need to cover part of the cost themselves. Nearly 25% of health care cost is paid by patients.